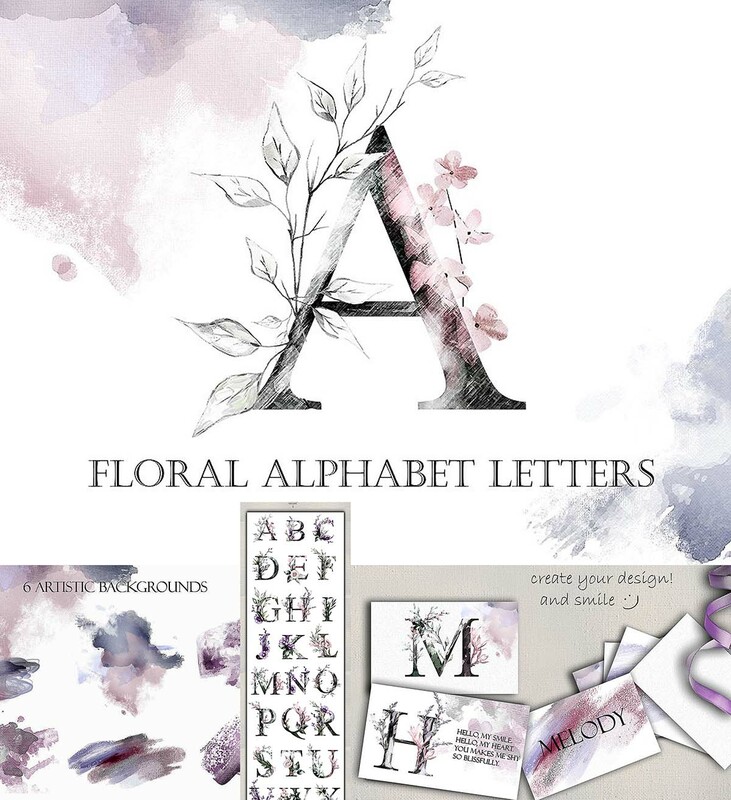 Introducing Floral Alphabet Letters. This set include: 26 PNG – alphabet, 6 PNG files – artistic backgrounds. Tags: airy, alphabet, art, background, floral, flower, leaf, lettering, purple, roses, spring, watercolor, wedding.